Incredible video taken from Edgewater, New Jersey, shows blue light flooding parts of New York City skies and pans to the rest of Manhattan for comparison. 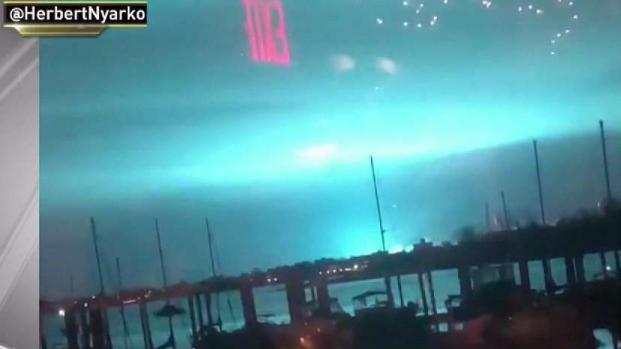 A transformer fire in Queens sent an eerie blue light flooding the nighttime sky over New York City. Michael George and Checkey Beckford report.